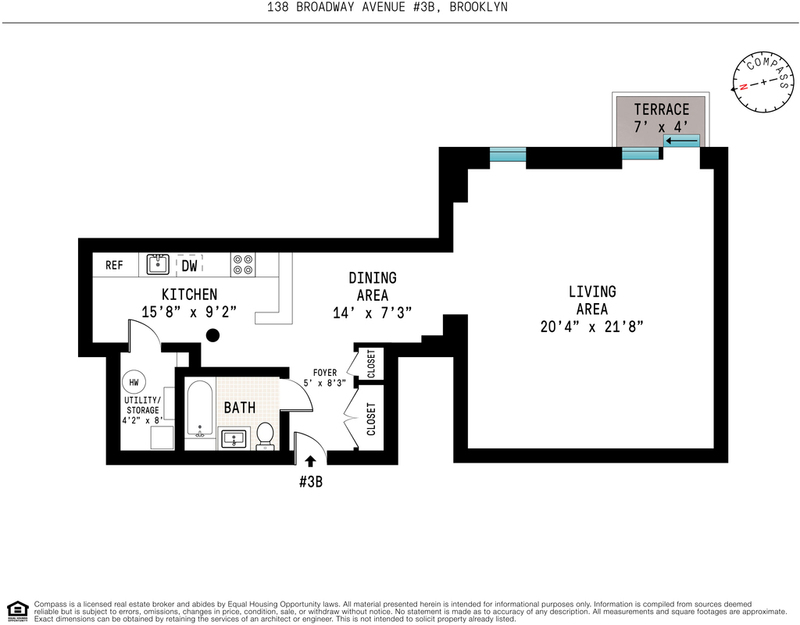 Are you the type of New Yorker who dreams of great apartments after you’ve gone to bed? 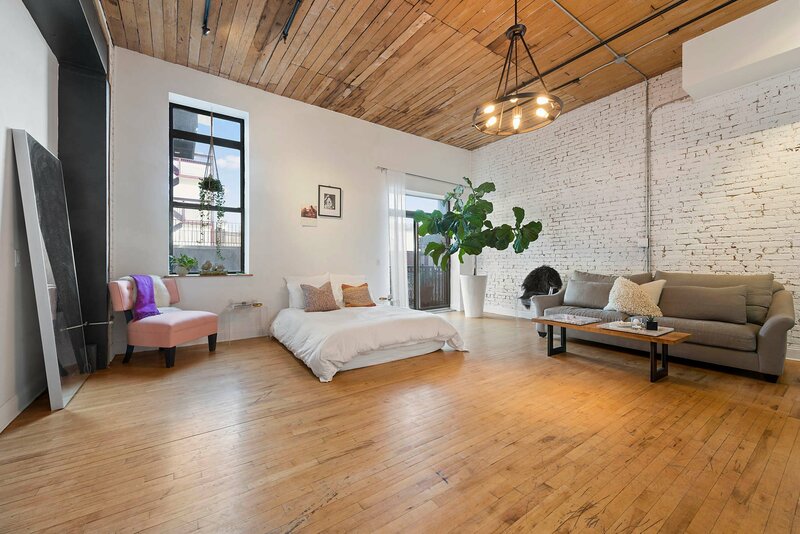 Maybe you’ve dreamt up a loft that looks like this, with wide open space, strikingly high ceilings, a private terrace and roof deck with views of the Williamsburg Bridge (Every NYC apartment worth dreaming about has outdoor space!). 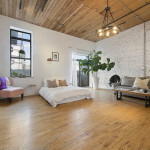 The listing, anyway, claims this Williamsburg studio at 138 Broadway is the stuff of dreams, and we have to say that it does look dreamy in the photos — especially the 20-by-22-foot main space that’s being used as the living and bedroom. 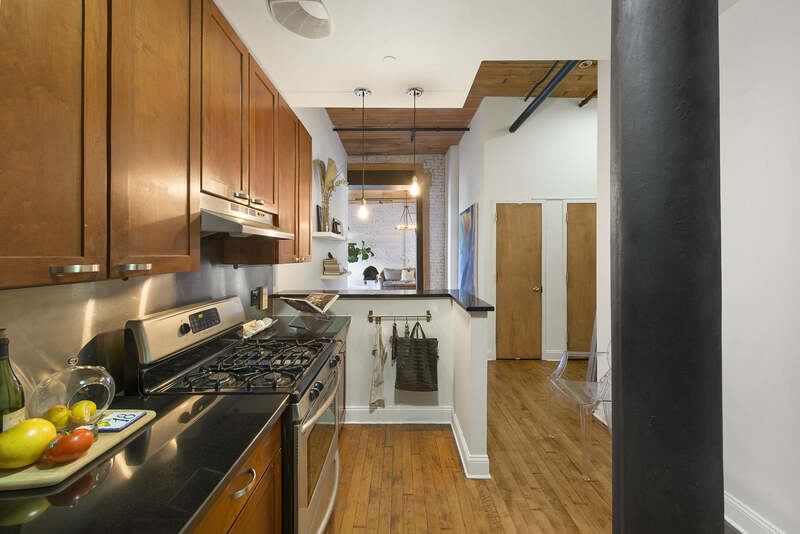 The apartment comes from a well-known Williamsburg building, the Smith Gray, a cast-iron design built in 1882 for the Smith and Gray Department Store Building. It was converted to condos in 2002. 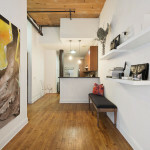 You enter the apartment into a large foyer with two closets. 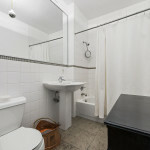 Although the apartment is a studio without a bedroom, it is configured into separate areas rather than one big space. The foyer leads to a dining area, with the big living room/bedroom to your right. And to the left of the dining area there is a kitchen, bathroom and storage space. Here’s a look at the dining room. 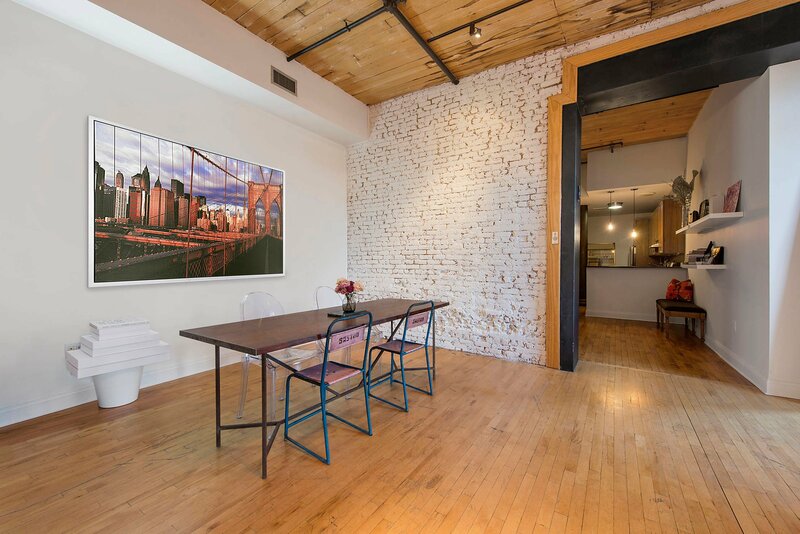 You can’t really come up with a better combination than exposed wood ceilings (which reach 12 feet), wood floors and the whitewashed exposed brick. It just looks good together! 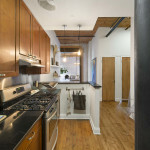 The kitchen is separated from the dining room by a breakfast bar. 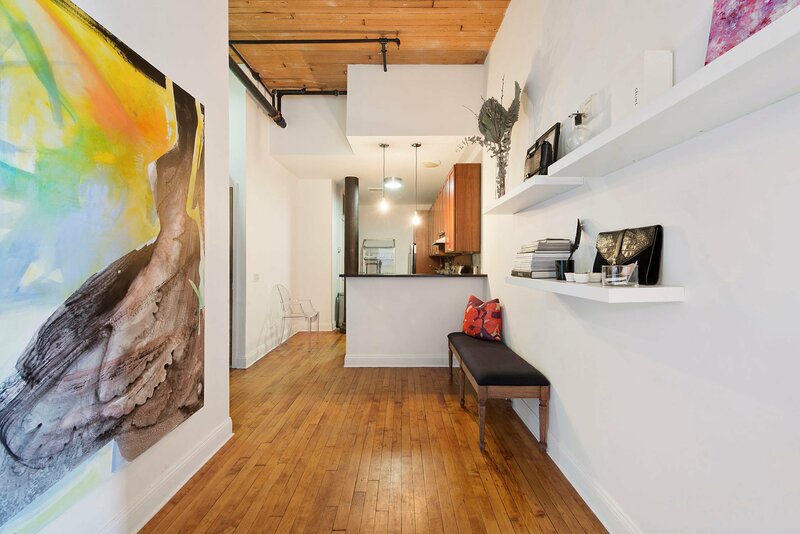 It’s outfitted with granite countertops, run-of-the-mill wood cabinets and a dishwasher. Here’s a better look at this unique studio layout. 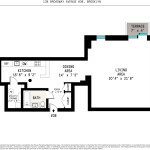 It’s a flexible floor plan that offers a nice alternative to a studio in which everything is in the same big room. The dining room is large enough to convert to a living room or even an open bedroom area. The possibilities are endless, especially if you’re only dreaming about living here. 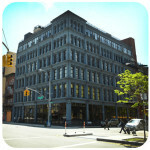 This building is located just south of the Williamsburg Bridge, near the J/M/Z lines. 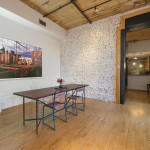 Being that it’s located in the hip nabe, it’s surrounded by bars and restaurants (including the neighborhood’s iconic steak restaurant, Peter Luger) and it won’t be far from the big-name companies slated to move into the neighborhood, like Whole Foods and the Apple Store.